Once a week I post interviews with interesting people about their insights on their experience of working in the Knitting industry. I’ve noticed that every one of these individuals makes their living in a slightly different manner bringing their own unique presence to the knitting world. I first interviewed Andrea here in August of 2011. 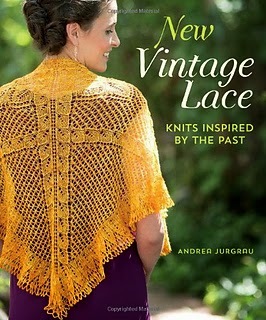 I recently read her latest book New Vintage Lace and wanted to ask her a few more questions. You can find Andrea here and here on Ravelry. All the photos in this post come from the book. You can see all of the other gorgeous designs here. I've been told publishing a book is a long intense experience. Could you tell us more about how the process works? Well, it starts with a concept. I really flesh it out fully, including designing and knitting some of the pieces before sending it out to a publisher. Then they review and send feedback, maybe ask for some changes. Then they decide if they want to publish it! If you get lucky and they do want it, next comes a contract. Then discussions about yarn and color. Then requests for yarn support. Then write it all, design it all, get the patterns and charts ready, knit the samples...then send it in to the editor and tech editor and wait. Then get it back for review, send it back and forth a few times, then let go! The publisher will then do photography, proof reading, more tech editing, layout. Then off to the press after a final review of a print-ready copy. The wait for the books!! It takes about 18 months. 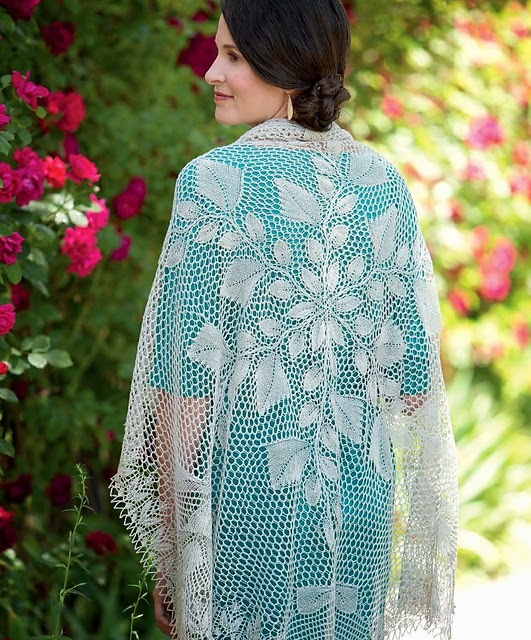 Please tell us about your focus on lace and the process of using vintage patterns to develop your gorgeous designs? 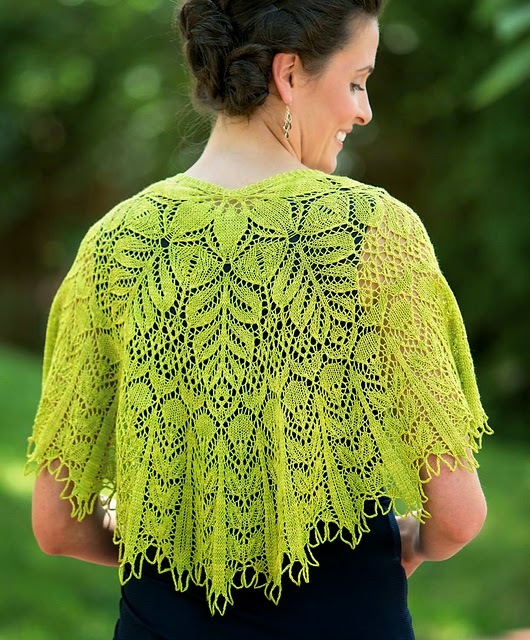 I just love lace of all sorts, but knitting lace is my favorite. 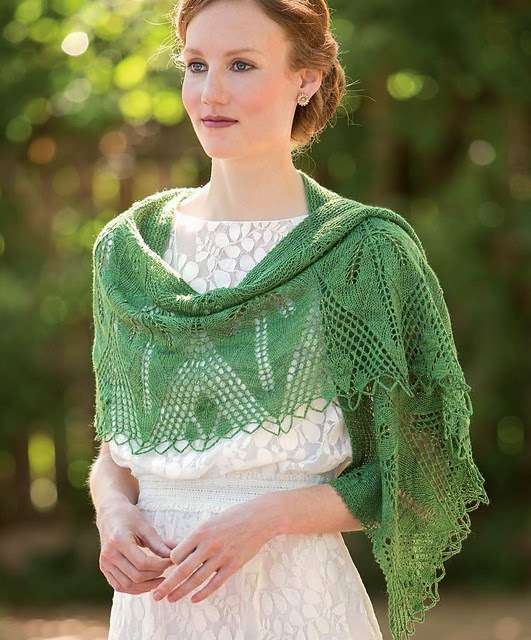 The vintage patterns can be a real challenge, because they were written at a time when knitters did not expect to be spoon fed. They are minimal and charted and you have to think. And you might have to fix the occasional error that slipped in, which is part of the charm. 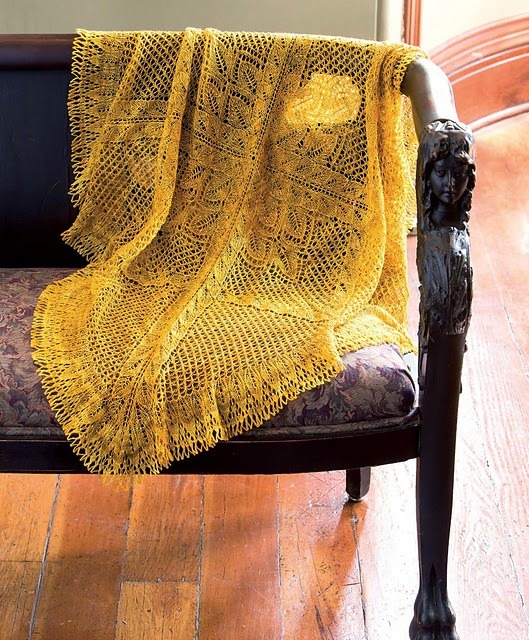 In the book I talk all about the process, with details that allow today's knitter to modify old patterns into shawl designs themselves. I know you need a lot of ideas for a book. What’s your process for generating them and how did you choose what went into the book? I am a concept designer. I started with the concept and then the designs flowed from there. That is how I always work, and it seems to be good for me once I begin in a clear direction I can design way more material than I can fit in one book! You also have a video workshop version of the book coming out soon, please tell us about what we can expect to learn in the video. The video is actually not directly connected to the book. I do cover techniques required for the projects in the book, but you do not need the book to enjoy the video. The video actually comes with two unique patterns to practice the techniques I cover in the video. 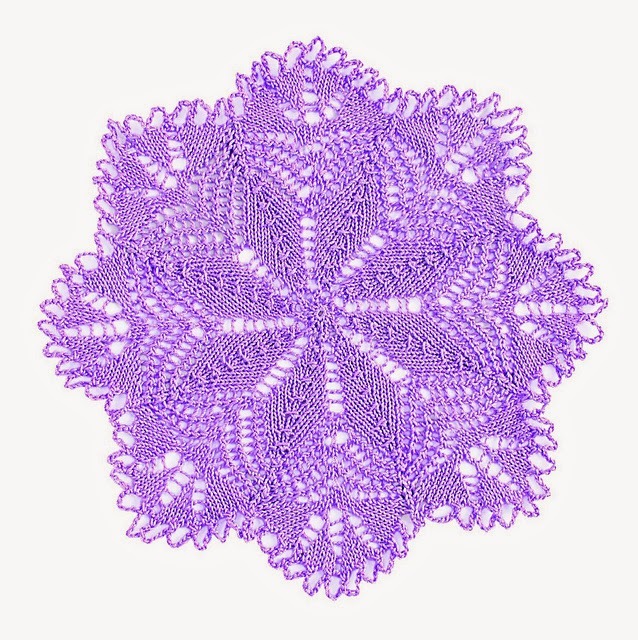 I cover center starts, a crochet edging, adding beads, and even blocking. What are your plans for the future, will there be more lace patterns? 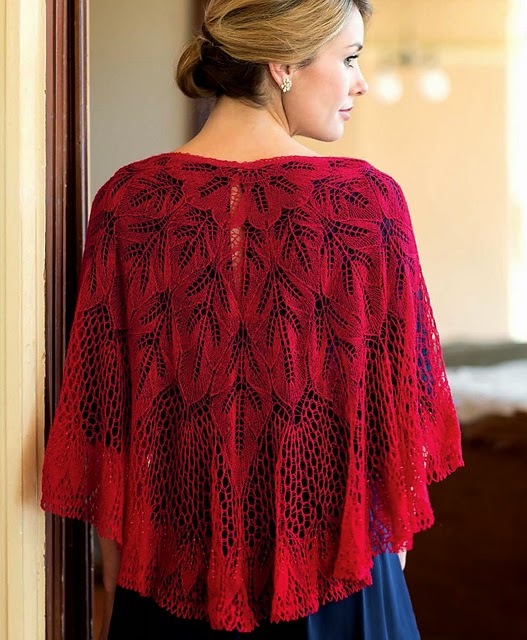 Do You Want to Become a Knitting Star? Why don't You Wear What You Knit?